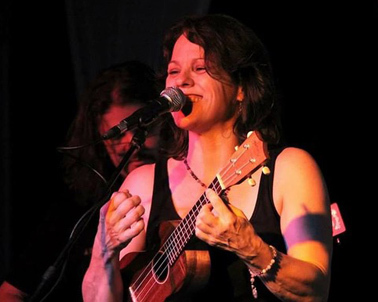 Caroline Hammond is a singer, songwriter and multi-instrumentalist of insight, honesty and earthiness. Artful, lyrical and profoundly evocative, her music is still essentially about the magic of ordinary things. With her inspiration drawn from a diverse range of musical genres, such as blues, reggae, African ‘hi-life’ and folk, her music is refreshing and thought provoking at the same time. Caroline will be joined on stage by one of Brisbane’s best percussionists, Suzanne Hibbs, a familiar face behind drum kits and percussion rigs all over the South East.